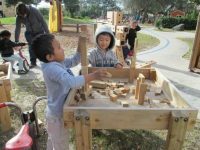 The Creative School for Children at the University of Central Florida has a 44,000 square foot outdoor classroom with many natural areas for children and parents to explore. 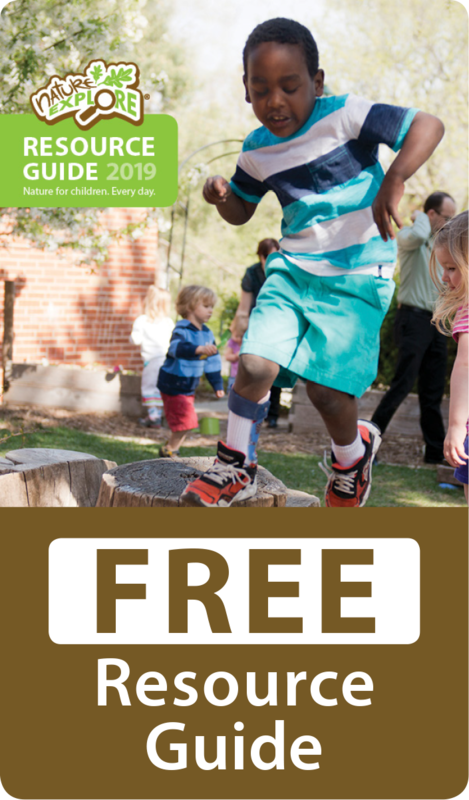 It features two large garden areas that have produced over 120 pounds of food for the school and our families in the last 4 months, as well as herbs, flowers and a butterfly garden. 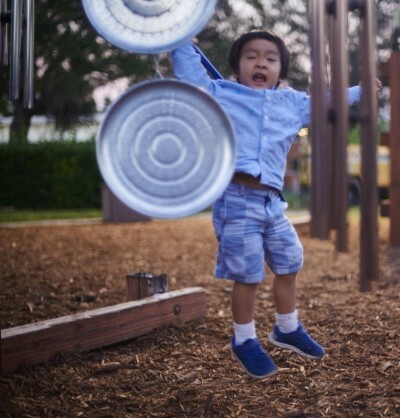 There are defined areas to discover as well as open areas for gross motor play. The benefits of this project have been overwhelming—feeding families and children, making a noticeable difference in the engagement of children, and affecting a huge respect and interest in nature by even our smallest children. We serve children from birth to five years and they all use the outdoor classroom together as well as separately, promoting a sense of “group ownership” in the area. 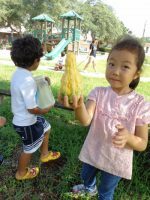 In this process, we have been able to educate parents and future educators who work, intern, and volunteer at our school about the necessity of children to be exposed to nature and appropriate risks. 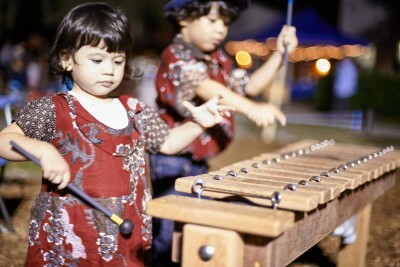 We host many annual events for our families that are nature-centered, including an International Dinner, Art in the Garden, and several volunteer events. We’d like to thank our special friends from the university’s arboretum for helping us with the gardens and other projects, and our staff, who have wholeheartedly thrown themselves into this project.